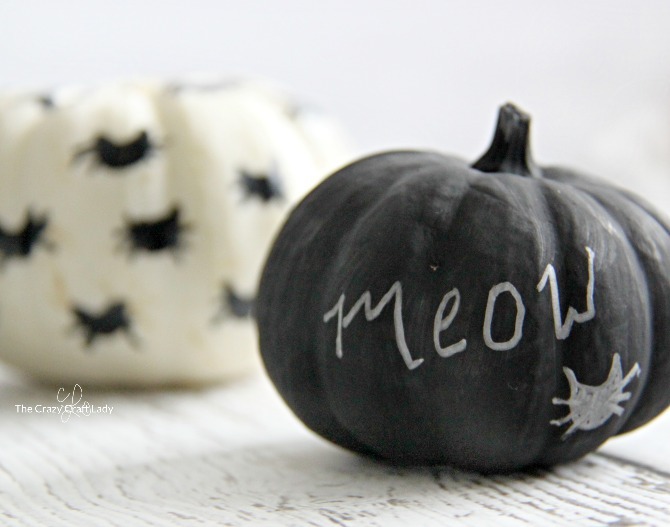 This Halloween craft is just for cat lovers! 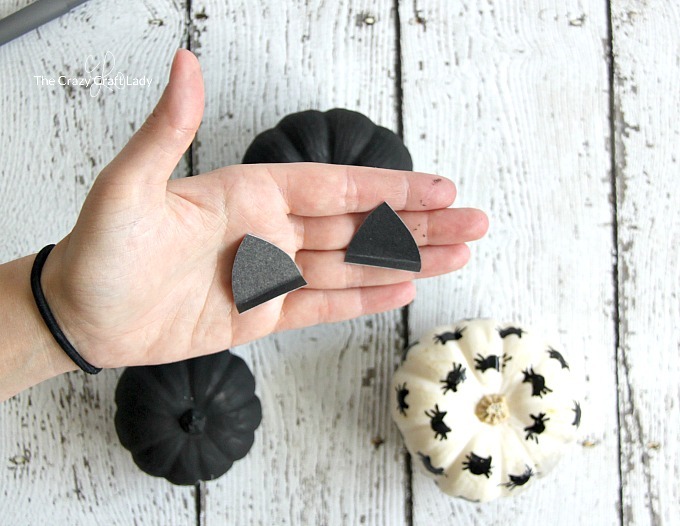 These black cat mini pumpkins are the perfect simple pumpkin craft for anyone who loves cats. 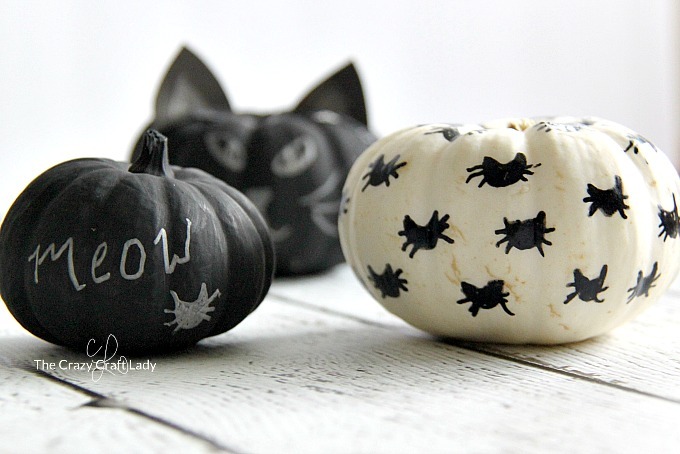 Learn how to make no carve cat pumpkins with just paint. 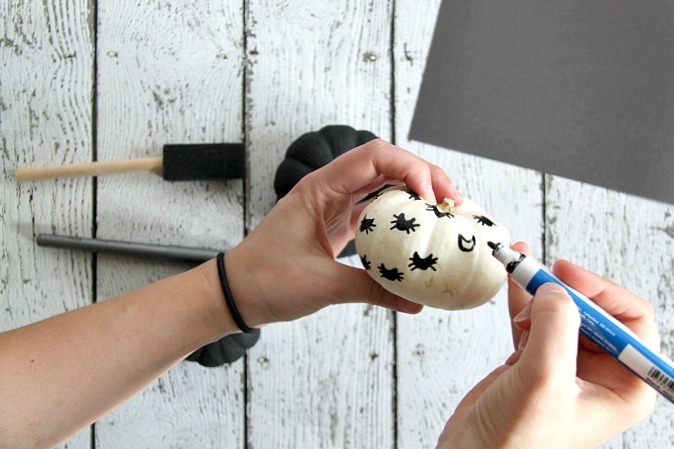 Decorate mini pumpkins for Halloween with paint markers and chalk paint. Carving pumpkins can be difficult, time-consuming, and messy. It’s no wonder that no-carve pumpkin decorating has become so popular. 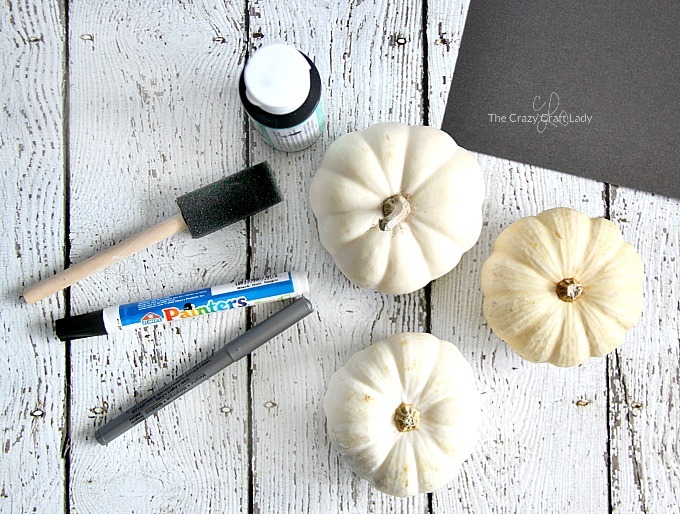 With just a little bit of paint and a few supplies, you can create some beautiful decorated pumpkins. 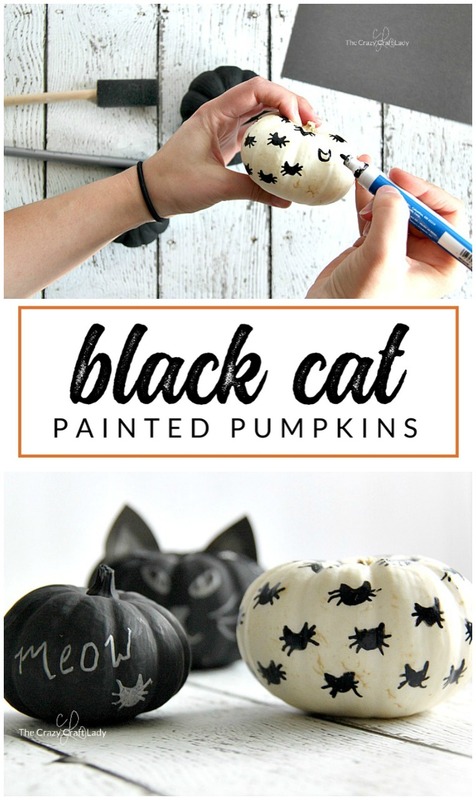 These black cat pumpkins are a fun and easy way for cat lovers – or anyone, really – to decorate pumpkins. 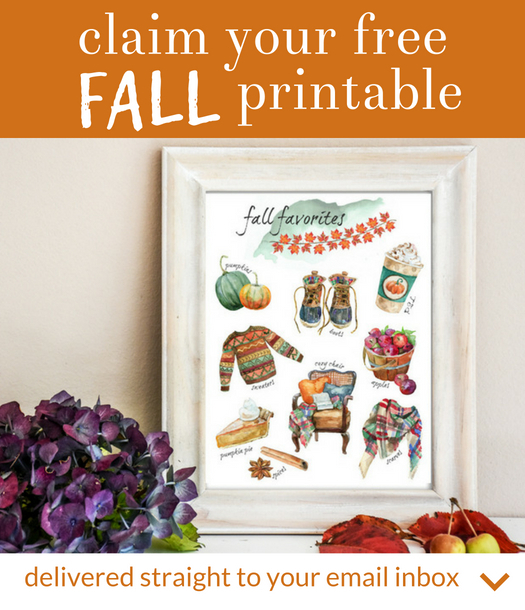 Related: Want more no-carve pumpkin ideas? Check out these Dollar Store Pumpkin Crafts for inspiration. Start with clean and dry mini pumpkins. Wash the pumpkins with a mild detergent and let then dry thoroughly. 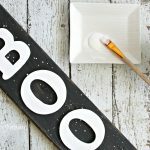 Clean pumpkins that are free of dirt will paint easier and will also last longer. First, paint two of the pumpkins with black chalkboard paint. Depending on the type of paint, you may need to use two coats to get full coverage. Let the black paint dry completely. 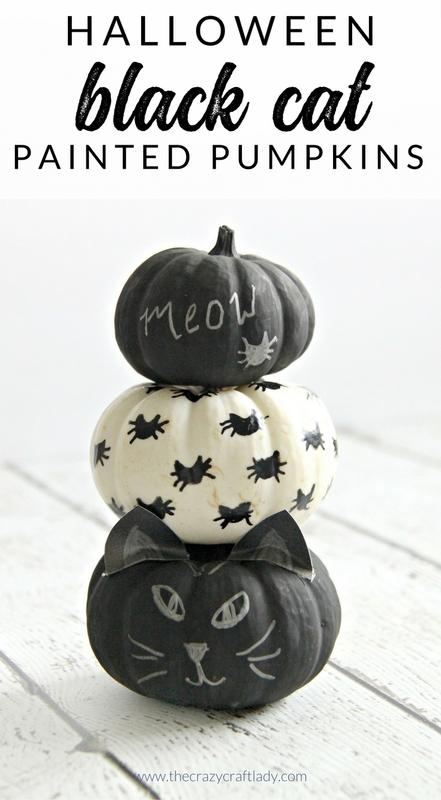 Using a silver paint pen, decorate one pumpkin with a cat face. Hint: do an internet image search for a simple cat face drawing for inspiration. Then decorate the other pumpkin by writing “meow!” on the side. Cut two “ears” from the craft paper. Then score the bottoms (see image below). Secure the ears to the pumpkin with hot glue. On the remaining unpainted pumpkin, use your black paint pen to draw mini cat heads. Drawing mini cat heads is actually pretty simple. Start by drawing a “U” shape. Then fill in the U with black paint. Finally, add three straight lines on either side of the cat head for whiskers. Space the mini cat heads evenly around the pumpkin. Be careful as you work your way around the pumpkin, since the black paint pen will stain your hands and make a big mess! 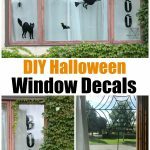 Once all of your paint pen work has fully dried, your can display them with your other Halloween crafts and décor. 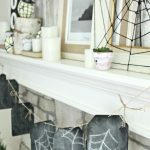 If you love simple black and white Halloween crafts as much as I do, you won’t want to miss these ghost and spider web painted rocks. They are an even easier paint pen project, and painted rocks are super trendy in the craft world right now. Love it! 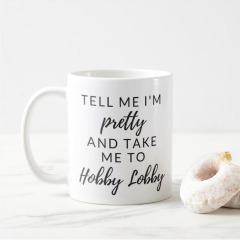 This will go great with my other Halloween decor. 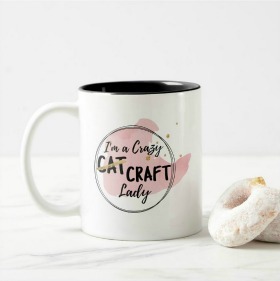 Have you made anything bat related?